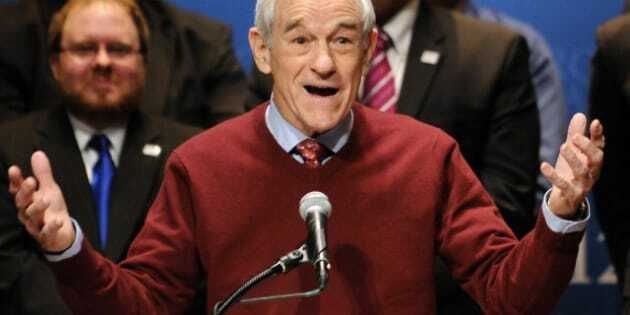 Ron Paul: Canada Better At Managing Budgets Than U.S.
You might not think American Tea Party icon Ron Paul would have many nice things to say about a nation like Canada. After all, the Texas libertarian’s gospel of limited government and drastically reduced social programs seems opposed to the way things are done up here. But the controversial, 77-year-old former congressman, who will speak to fellow conservatives at the Manning Networking Conference in Ottawa this week, told The Globe and Mail that he respects how Canada has handled its financial affairs. “I think Canadians have done a better job managing their budget in the last few years, not that it takes a whole lot to do a better job than the United States,” he said. Predictably, the man considered by many to be the ‘godfather’ of the Tea Party movement that reshaped the American political landscape, is no fan of our health-care system. While the maverick may seem like a strange pick to speak to what has been billed as the biggest meeting of conservative minds in Canada, he’s actually sung Canada's praises before. In a YouTube video uploaded in 2011, Paul said Canada is an ideal neighbour because it takes nothing from America in terms of aid and yet maintains very close relations. Paul made the comments in the context of America's relationship with Israel. Still, not everyone is enthusiastic about his visit. NDP MP Charlie Angus told Maclean’s last month it was very "telling" that Paul would be invited in the first place. Paul finished a distant fourth in the 2012 Republican primaries. His campaign was rocked when newsletters published under his name in the 1980s and ‘90s were found to contain anti-gay and racially-charged statements. Paul claimed he did not write those comments. Things Ron Paul Got Right?